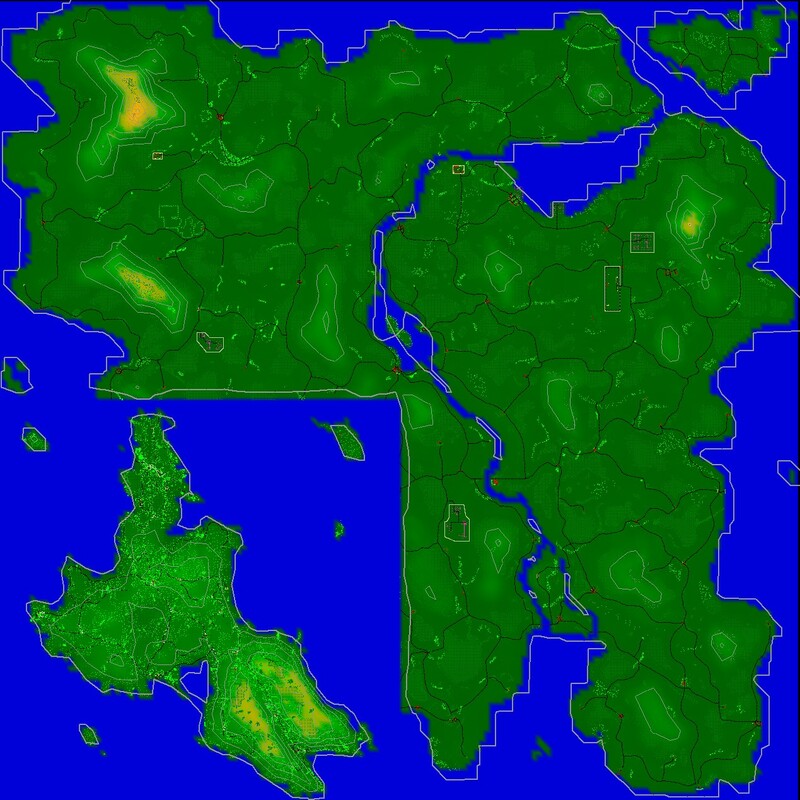 PMC has made so far three different islands. These are PMC Smallville, PMC Rugen and PMC Rattler. 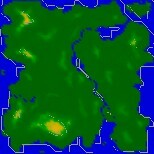 This is a 25km x 25km sized island with Malden, Kolgujev and Everon in it. The positions are as follow, Kolgujev is on the north, malden at south west and everon at the south east. It includes a menu background cutscene. No addons needed. 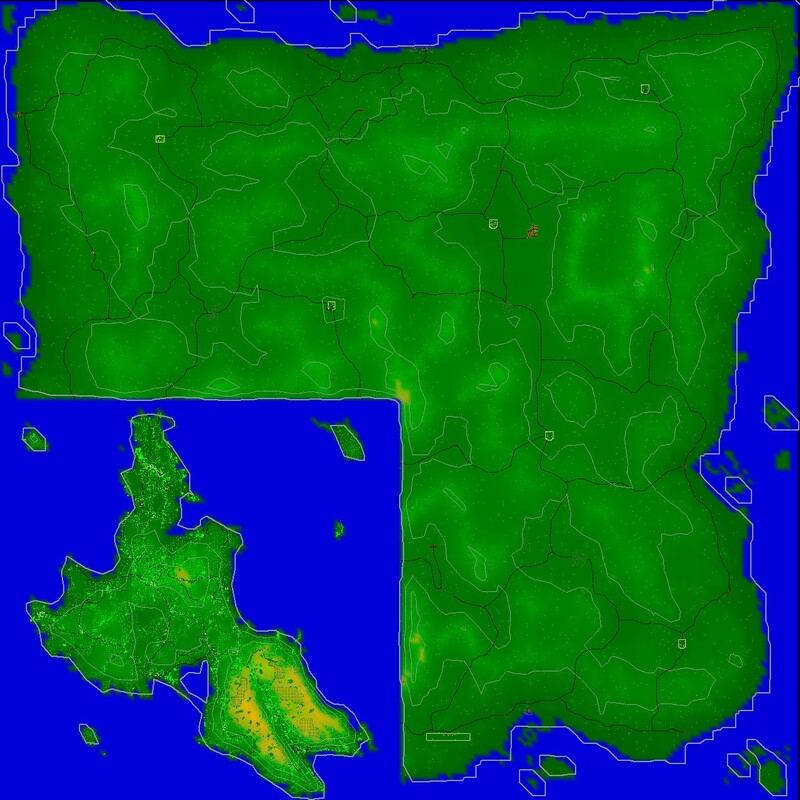 Kolgujev has been edited to use bit less textures than the original island because there is 512 textures limit. You can fly from Malden to Everon and Kolgujev all in one mission now with AEC island. There is no lag, or any other tricks used (except some fine WrpTool work). The only working AI airbase in the islands is at Malden. Here is some statistics directly from WrpTool: 473 Texture names, 417 Object Types and 230624 Objects. Download AEC Island from our downloads section. Smallville is a demonstration of how small the islands can be in OFP, but its really a nice place to play a mission or two. Its using resistance objects and textures, it comes with a campaign (smallest possible). 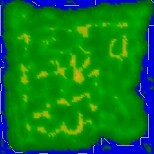 Its size is 32 x 32 cells, compare it to Everon which is 256 x 256. Download Smallville from our downloads section. Rugen is a large island in size of 25km x 25km and its uses resistance objects and textures as base, also there is Agent Smith (AGS) industrial pack and harbor kit as well as MapFact baracken addons used. (click image for larger map view). PMC Rugen is basically in the mood of Everon and Nogova combined, with the one exception, there is large open areas for lag free gameplay. 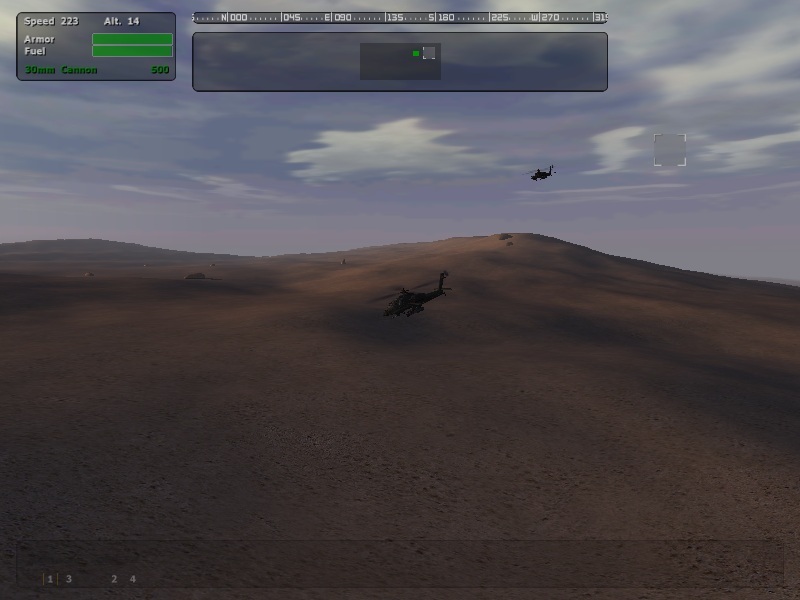 In end of 2005 Rugen is the only such island created which brings a new gameplay design for OFP. Everyone (should?) know that OFP is not Rainbow Six and you cannot have close quarter battles as good as in R6, so OFP really rules on the large outdoor environments and Rugen is perfect example of that. No other island will give you such tactical large distance combat experience as Rugen does. 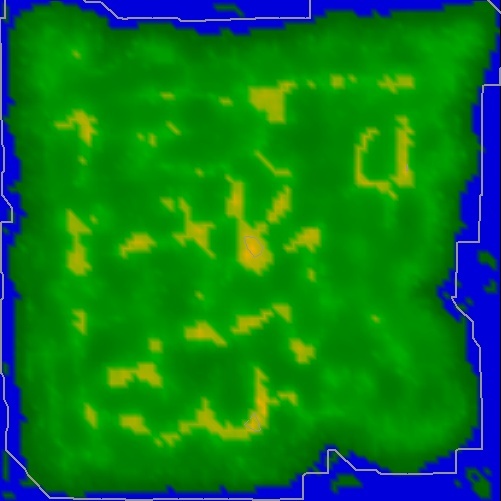 Rugen does have lot of objects, since its 25km island there is about 134,000 objects used and 116 of the basic resistance (nogova) ground textures. As this island is 4 times the size of Nogova, that gives lot of empty spaces and therefore the lag free gameplay. 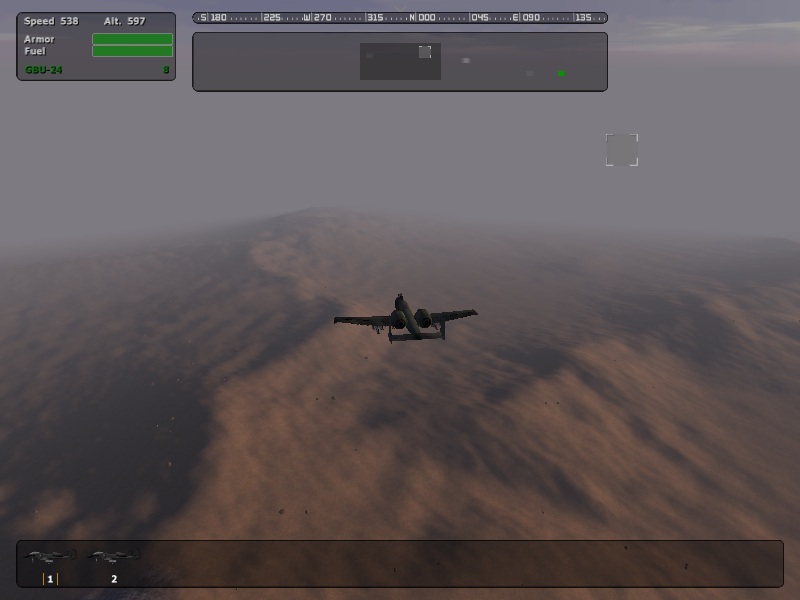 Its proved to be totally playable on AMD 2800, 1gb ram, radeon 9800 pro computer using 3,500meter viewDistance. 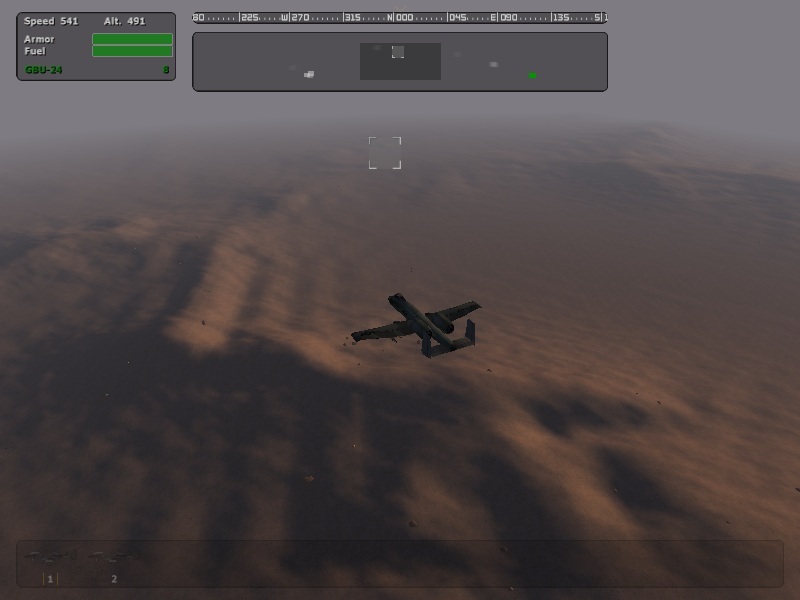 Rugen has airbase with working AI landing autopilot feature. Airstrip. Two army bases. Two sea ports. Four oil refinery areas. 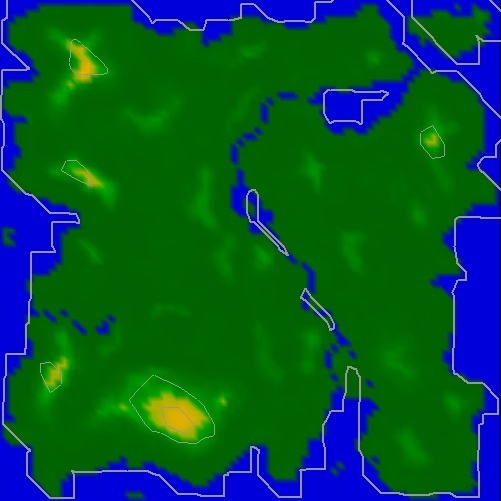 Populated areas include many cities and even more villages/towns. All are connected together by road network. There are forests and few large mountains. River splits the island to two, which gives us several bridges. 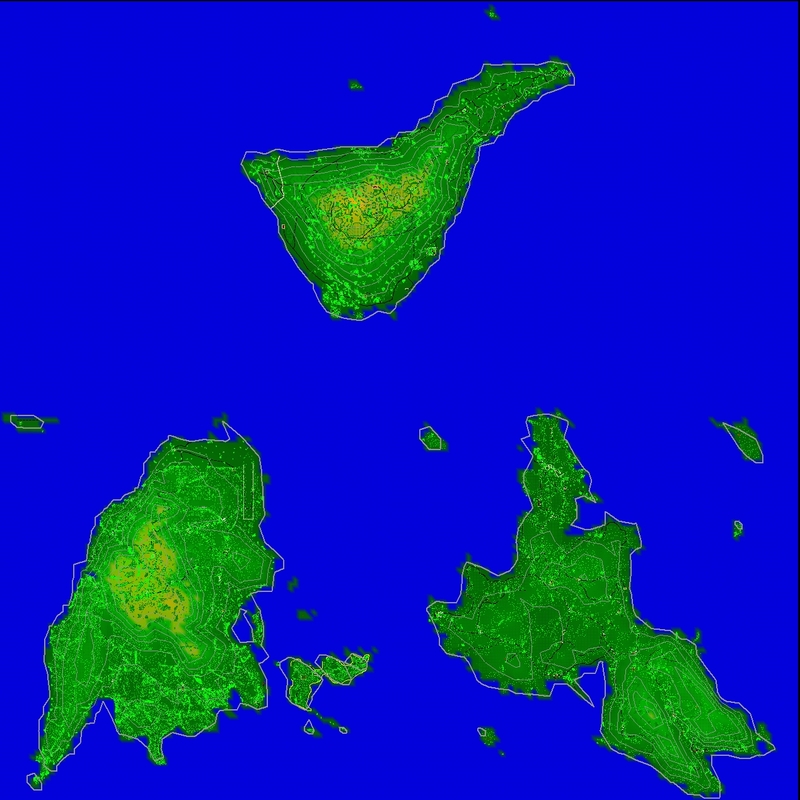 Check out the screenshot on the right where we placed puny Everon on the Rugen's map, that gives you good idea of how large the 25km island really is. Required Addons are AGS Industrial Pack v3.0 here, AGS Harbor Kit v1.3 here and MapFact Baracken v1.5 here. 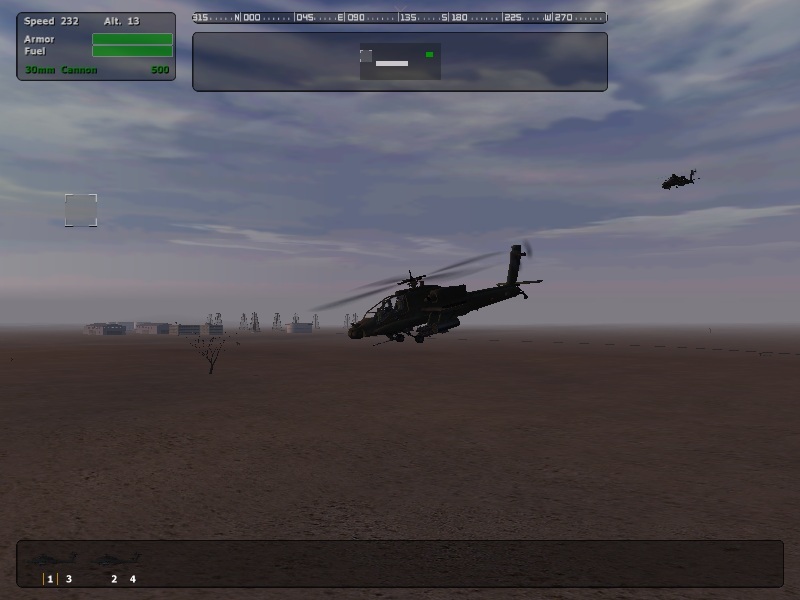 Download Rugen from our downloads page and check PMC Hero's Path 34 mission campaign for it in our campaign page. This is 25km x 25km desert island, its pure desert without any other terrain types. It uses resistance textures (the desert ones) and objects, along with those AGS industrial and harbor kit, as well as MapFact baracken addons. Rattler is dedicated desert island and there will be no other terrain types than desert and rocky mountain textures. There is no mountains in that sense, but few of the highest peaks there has been wiped clean from sand and the rock base is visible, therefore the rock textures. 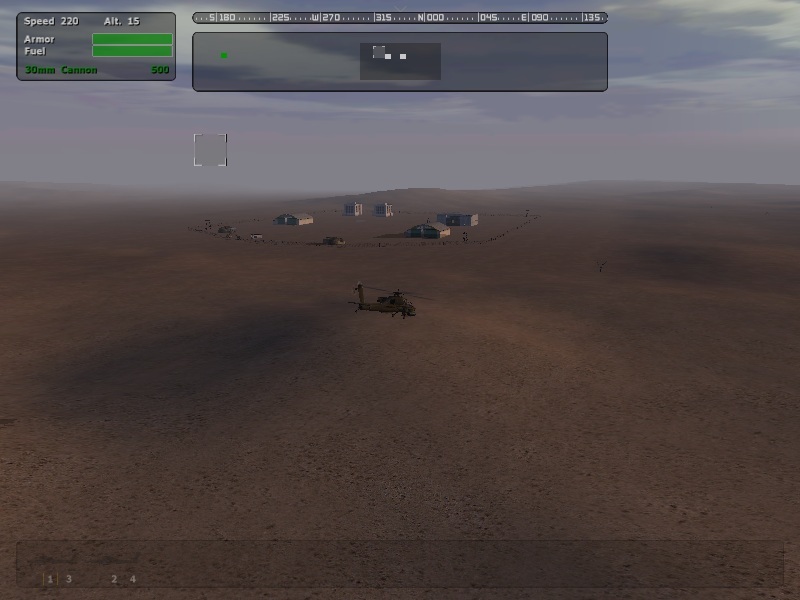 The overall mood of the island is barren desert with ruined / war torn empty cities and then few modern oil refinery / oilwell sites as well as military bases. This island gives that ongoing war feeling. 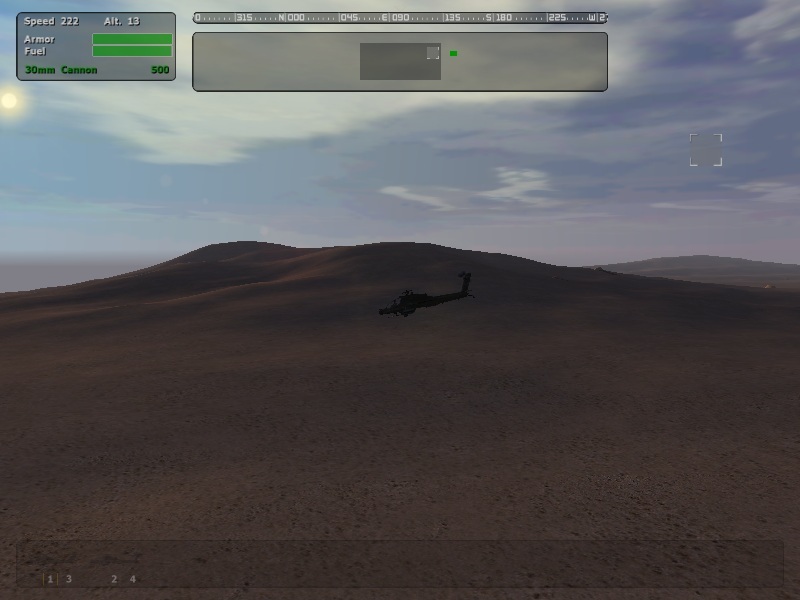 Rattlers ground textures contains 74 nogova textures and objects include total of about 22,000 objects from resistance, including the AGS/MapFact addons. This will ensure absolutely lag free gameplay with even the greatest viewdistances (within reason). 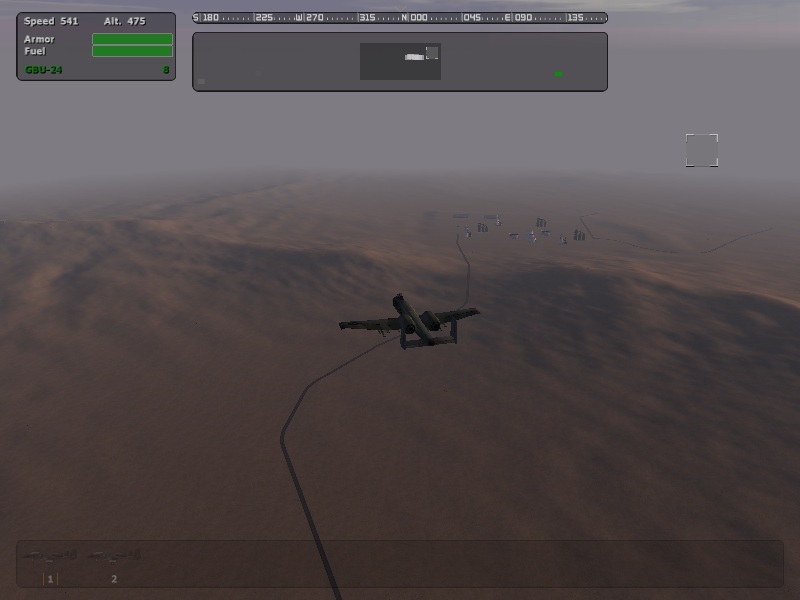 The features are working AI autopilot airbase. Airstrip. About 10 military bases. Two sea ports. Two oil refineries. Several oil well sites. 10 ruined cities with one capitol (larger) city. All these locations are connected by dirt road suitable to desert ruined feeling. Paved asfphalt road can be found near the modern airbase / oil facility locations. The screenshot on the left (click to enlargen) shows you the size of Rattler when Everon is put into the same map. Pretty big huh. Check out a few screenshots of the island. Two Apaches patrolling near oil refinery here, Two Apaches patrolling here, Apache on small hillside here, Apache closing to military base here, then few screenshots with the 3500m viewdistance; A10 flying above hills here, A10 flying above valley here, A10 near refinery here, A10 over sea port here, lastly check out the 496kb image of the mapview with labels on here. Download PMC Rattler from our downloads page, check out missions for it in the missions page and campaign in our campaign page.